Summer Arts & Leadership Camp - Welcome! 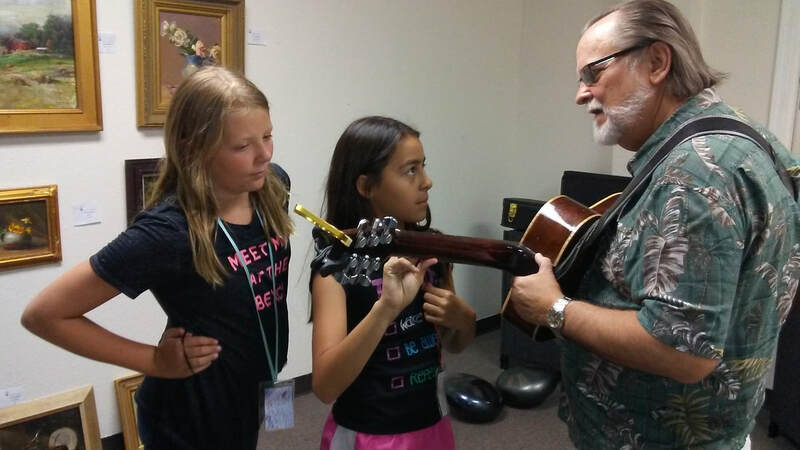 After Dennis Tibbits shares silly songs he shows campers how to play a guitar. Space is limited to 20 youth with a minimum of 10 per session to meet. Cost is $150 per week per camper, $200 for siblings. Pre-enrollment is required and ends May 7, applications available at the ACT Gallery or text or call 918 457-7345. Two sign-up opportunities will be held, Sunday, April 14 from 1:30 - 3:30 p.m. and Saturday, April 20 from 1:30 - 3:30 p.m.
WEEK 1: Arts for All - Art is for everyone, art is everywhere! Self-portrait- Eyes, Smile, Sound, Hand. Drawing – Perspective, Proportion, Play. Poetry. Music, tour downtown businesses to see art in action. WEEK 2: My Neighborhood ! Architecture, Murals, Public Parks and Gardens. Bird Watching. Grow a seed. Acrylic painting. Creative Writing.. Rock painting. Chalk art. Mural design. Garden Art/Fairy Garden. Volunteer - Nasturtium Garden Club. WEEK 4: Celebrating America - Coast to Coast, Lighthouses, Hospitality and the Thompson House. Map-reading, Boat-building/ Knots, Sewing a bag, Oil painting, Vase Faces/Silhouettes. Famous oil painters. Volunteer - Clean up trash along creek downtown @ park. Parent(s) ____________________________________________ agrees to provide $150 donation on Monday for each week of camp for _____________________________ or $200 for two siblings ___________________________. 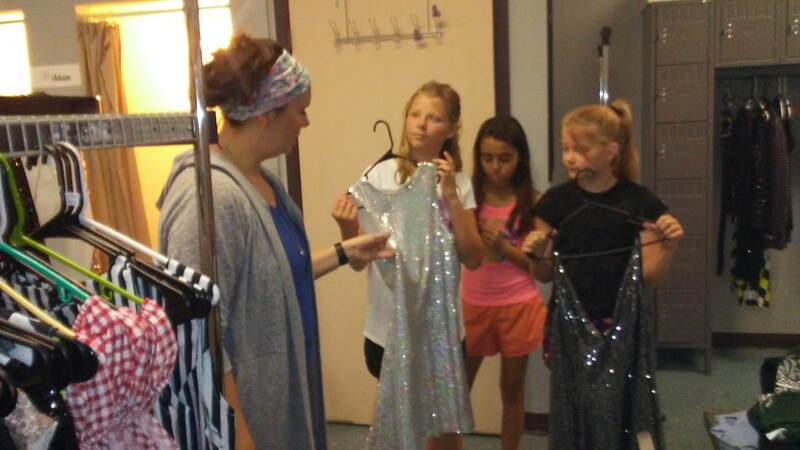 Arts Council of Tahlequah volunteers and staff look forward to sharing arts, culture, history, leadership opportunities and most of all a fun summer of enrichment, inspiration, activities and learning. A mix of walking and physical fun will be balanced with introspective creative writing and drawing, craft making and discussions. Breaks and meal-time give campers time to relax. Parents please provide a sack lunch or money to purchase lunch at the Kawi Café. On some Friday’s we may eat downtown and we will communicate with you each week about Behind the Scene Fridays, as two will require parents drop off campers on site at the Cherokee Heritage Center and Hunter’s Home (Murrell Home) and pick them up from there, or arrangements can be provided. Other Behind the Scenes Friday activities are within walking distance. The Camp will open at 7:50 am for the convenience of working parents and we ask campers be picked up by 5:15 pm. Camp Staff include Renee Fite, Ellie Vega and Jamil Jaser with guest artists/teachers from the community.